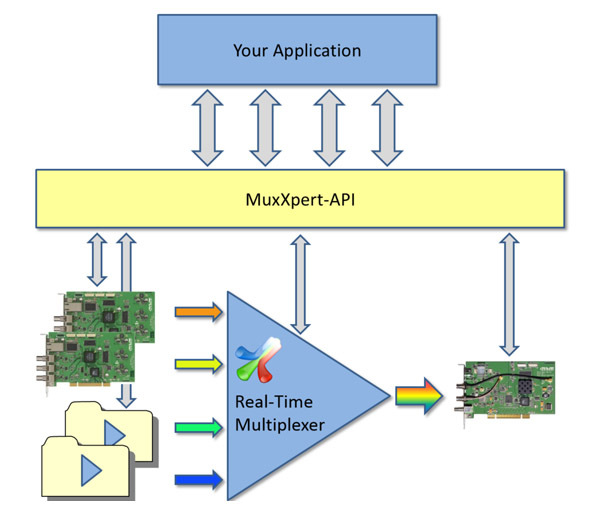 The MuxXpert SDK is a development kit for creating custom real-time multiplexing applications with DekTec's MuxXpert software multiplexing framework. It provides a number of class libraries that allow users to specify the creation of new Transport Streams, including PID-remapping, PID-filtering, service-remapping, descriptor filtering and addition, generation and insertion of PSI/SI tables and more. * Not all combinations are allowed. Maximum depends on CPU and RAM. 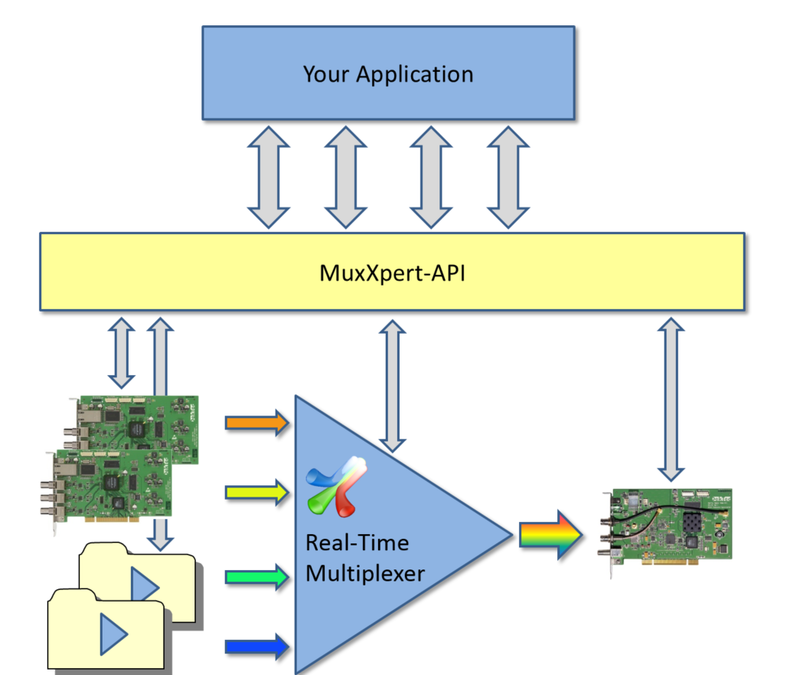 MuxXpert is a standalone application, while the MuxXpert SDK enables developers integrating the MuxXpert functions into their own application. 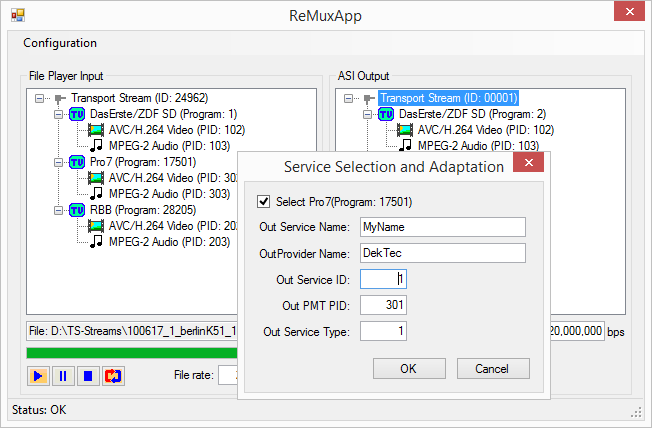 It provides a number of class libraries that allow users to specify the creation of new transport streams, including PID-remapping, PID-filtering, service-remapping, descriptor filtering and addition, generation and insertion of PSI/SI tables and more.